The first thing I look for when summer starts are the little blinking lights of fireflies in the yard. Summer is winding down and will be over soon. 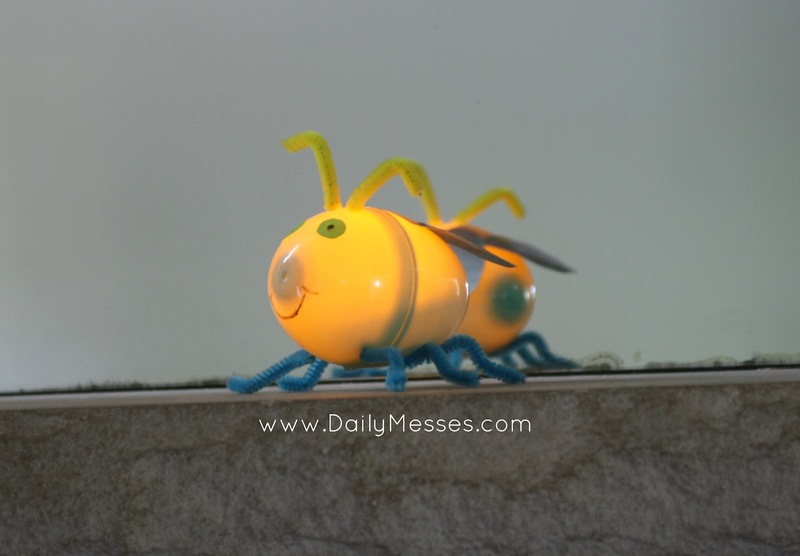 Why not keep the spirit of summer going inside with these cute little fireflies! 1. 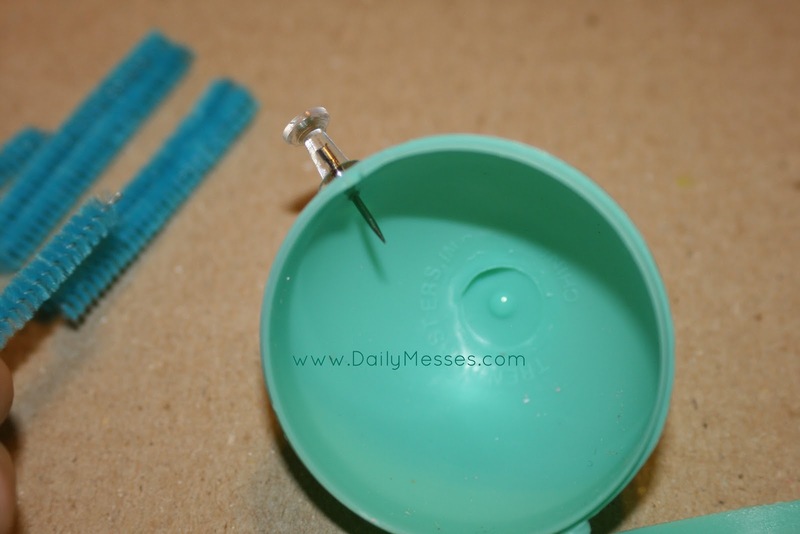 Use thumb tack or pin to poke holes in the egg. Poke two holes on top where the head is for the antanae. Poke three holes on the bottom on both sides for the legs. 2. Color on eyes with permanent marker (or use round stickers). 3. Draw on the mouth. 4. Cut pipe cleaners to desired length and insert into holes. 5. 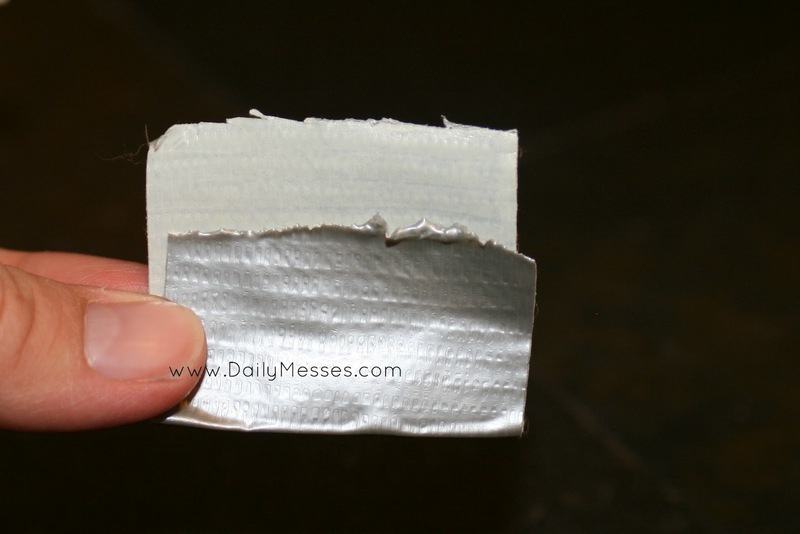 Cut a piece of duct tape and fold almost in half. 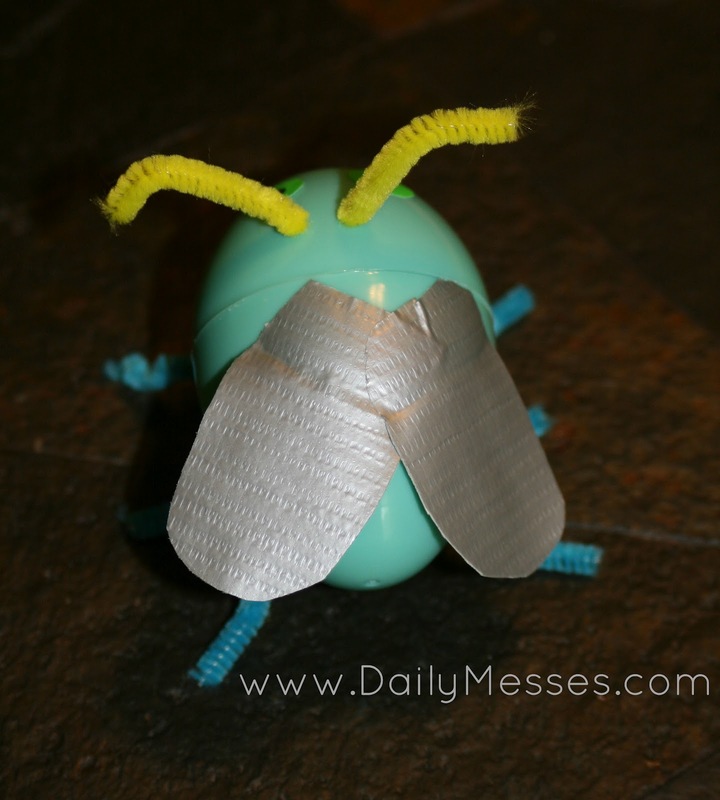 You want some sticky part showing so you can stick it to the egg. Cut rounded edges. 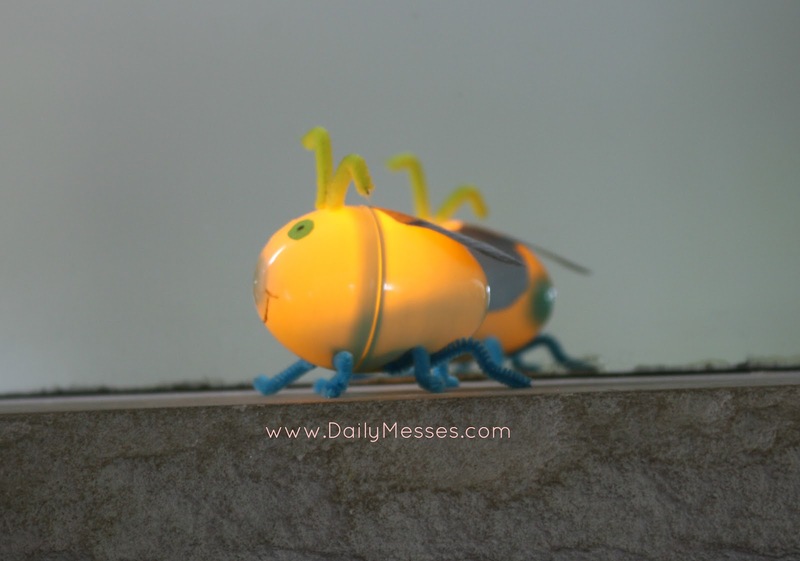 Make two wings and attach to top of the firefly. 6. Turn on the tea light and place in the egg. 7. Close the egg, turn off the lights and enjoy! I love this craft what a great idea.